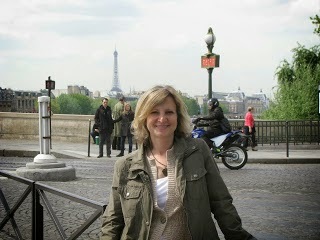 Kerry Hammond is here today to review the second book in the Music Lover’s Mystery series by Sarah Fox. 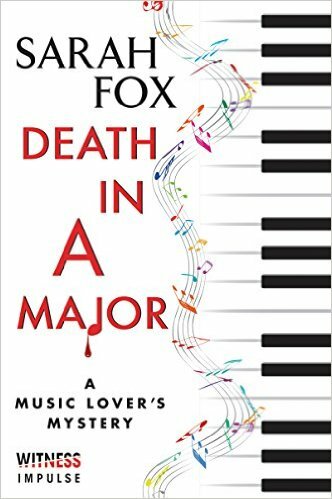 Death in A Major by Sarah Fox was released in Kindle Edition on January 5, 2016, and comes out in Paperback on February 23. It is published by Witness Impulse, a division of Harper Collins, and is the second in the Music Lover’s Mystery series. I read the first in the series, Dead Ringer, and reviewed it here on Mystery Playground. I really enjoyed the book and when I found out there was a second in the series, I asked for a chance to read and review it. Midori Bishop is a violinist with the Point Grey Philharmonic Orchestra and when she’s not playing or teaching, she’s getting involved in solving murders. In her defense, she has nothing to do with the mysterious deaths; she just happens to be in the wrong place at the wrong time. The latest suspicious death occurs at a post-concert event. Archibald Major is a wealthy local with a nasty temper who treats his family horribly. When he drops dead at the reception, everyone thinks it’s a heart attack. When it officially becomes murder, Midori is determined to stay out of it. Those plans change when Jordan, one of her students, who happens to be the dead man’s grandson, asks for her help. What follows is a well-written whodunit with characters to whom the reader can relate. I enjoyed the unraveling of the clues and the family secrets at the heart of the mystery. Midori is a great protagonist, equal parts curious and clever. She even wins over Detective Salnikova, who is constantly trying to get her to keep her nose out of the investigative work. There is a little bit of romance as Midori tries to figure out where her heart lies. I won’t give any more information on that angle, though. No spoilers here.